Bringing an end to months of back-and-forth, Showtime has ordered a 20-episode miniseries of Purity, an adaptation of the acclaimed Jonathan Franzen novel that will feature Daniel Craig in a star role. Marking the actor’s first foray onto the small-screen in almost two decades – not since the BBC’s Our Friends in the North has the Brit featured in a major TV series – news of Craig landing the lucrative deal to headline Purity only emphasizes the actor’s desire to lay down the license to kill, as he’s all but set to depart the James Bond franchise after four consecutive turns as MGM’s lethal spy. In terms of Purity, Variety reports that Showtime fended off heated competition from both Netflix and FX to secure the limited series, appointing Todd Field (In the Bedroom, Little Children) to write and direct all 20 episodes in the process. Meanwhile, Scott Rudin of The Grand Budapest Hotel is on board to produce the adaptation. A psychological thriller at its dark and brooding core, Purity was once in line to become a feature film, and the synopsis for Franzen’s novel reveals a global adventure orbiting around one Pip Tyler. Purity now joins David Lynch’s Twin Peaks and Guerrilla on Showtime’s roster of limited series. 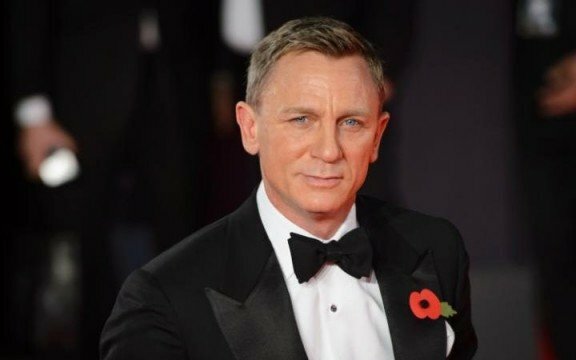 No word yet on a premiere date for the Daniel Craig-fronted thriller, but we’ll let you know when we hear more.